First elected to Dáil Éireann in the Bi-Election that took place on 11th March 2005, I was honored to become the first ever woman to represent the people of Kildare North as a TD. Unfortunately, I was not re-elected during the 2007 General Election but after a few years regrouping and reorganising I was delighted to be re-elected to the Dáil in the 2011 General Election thanks to my extremely dedicated and talented campaign team. I’m currently the Whip (main organizer) of the largest ever grouping of Independent & small party TDs in the Dáil, known as the Dáil Technical Group. This is a loose grouping of 12 Independent, 2 Socialist Party and 2 People Before Profit Alliance TDs which gives its membership the chance to speak on issues & legislation and to become members of Oireachtas Committees. 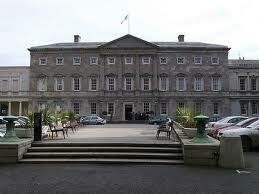 As the name suggests, the Dáil Technical Group is purely technical so while TDs benefit from similar parliamentary privilages to members of the main political parties (opportunities to speak in the Dáil Chamber etc…), we also maintain political independence and are not tied to a particular party position on any issue. This gives us the freedom to vote according to conscience and not instruction. I was also a member of a Technical Group when I was a TD between 2005 & 2007. WHAT CAN AN INDEPENDENT DO? I’m sometimes asked what an Independent politician can achieve at Dáil level and I have to say that in my experience a strong impact and positive change can be made. For example in my last term I was a member of the Finance & Public Service Committee where I was active in scrutinizing and offering ammendments to legislation such as Finance Bills of 2006 & 2007. I’ve recently been appointed to the Environment, Transport, Culture & the Gaelteacht Committee and the Committee for Procedure & Privilages so I hope to do a lot of work on those areas in particular. Equally I have and will continue to use my position in the national parliament to champion issues of national importance that have been raised with me both locally and from further afield. Notably I was the first TD to raise and pursue the issue of Unregulated Estate & Property Management Companies in 2006 leading to regulatory reform in the area; I pushed for Childcare provisions throughout the 2005 Bi-Election & during my term as a TD and in Budget 2007 I saw this yield the introduction of a childcare payment to families (unfortunately this has since been withdrawn); I continued to uncover & raise the issue of inefficient public services with Ministers & media alike, which included uncovering the fact that the Department of Education had spent over €20 Million in a few short years fighting court cases against parents who were seeking suitable educational placements for their children with special needs!